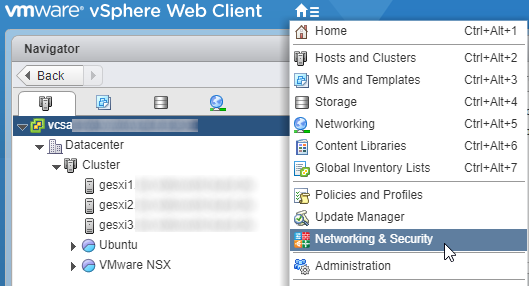 Log in to the vSphere WebClient with your administrator account. 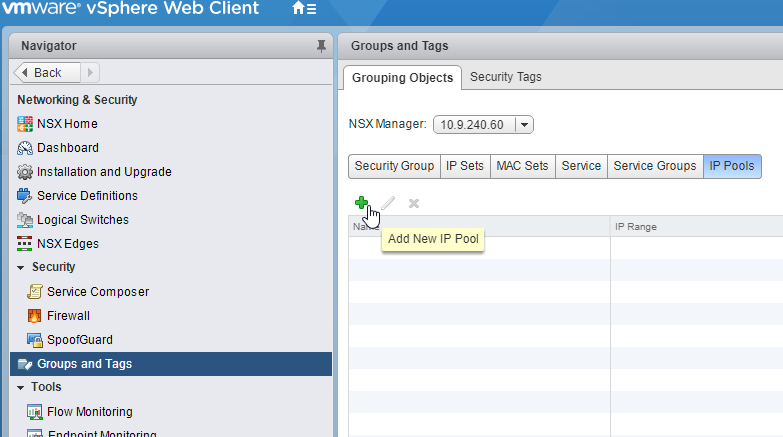 An go to Networking & Security. 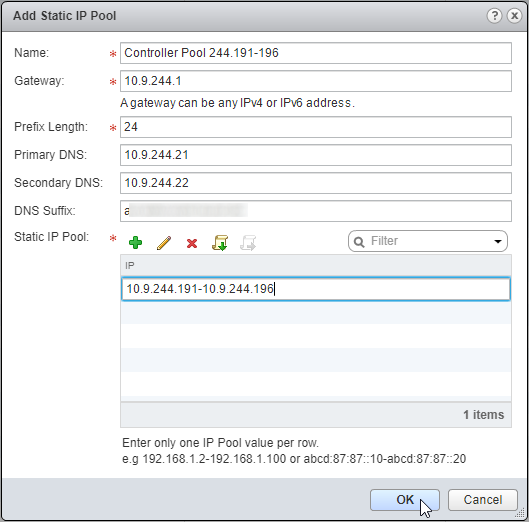 Select Groups and Tags > IP Pools and click on PLUS Add New IP Pool.